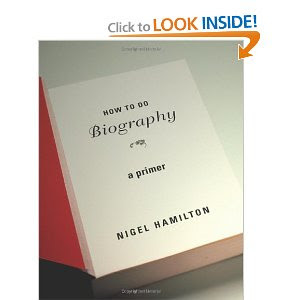 My wife Mxxxxx got me a wonderful Christmas gift this year: "How to Do Biography: A Primer" by Nigel Hamilton. Mxxxxx wants me to write the best darned biography possible of Dr. J. Allen Hynek, so it's not just a Christmas gift: it's a vote of confidence, and I love her for it. I had never heard of this Hamilton fellow before, but it turns out he's quite the big wheel in biography circles, and he has written quite a nice little book! I am about halfway through, and I've been finding it to be both educational and inspirational. I might just go into the biography business full-time after this! Let me know if you want me to write about you! Damn book. Merry flipping Christmas. 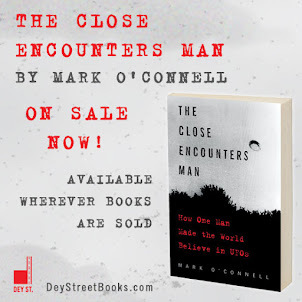 This internal struggle came to a head today when Mxxx, the Director of Dr. Hynek's UFO research organization, CUFOS, and the man who first recruited me to write the Hynek book, referred me to a UFO blog that mentions Dr. Hynek. First of all, shame on anybody who reads a UFO blog that's not this one. Second of all, wow, this other UFO blog is pretty harsh in its assessment of my good Doctor. I mean, hats off to Mxxx for wanting me to absorb both the good and the bad about his mentor, but, man, I have to work this out... 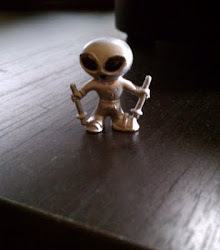 The blog is by Michael Swords, UFO historian and co-auther of the recently-published "UFOs and Government." Professor Swords knows his stuff, and I have to say right here and now that he has already given me some fascinating insights into Dr. Hynek's work in a personal email exchange. So, I knew he had some mixed feelings about Hynek, and I respected that. But his blog posts are making me realize that I really do have to fully explore both the good and the bad and the really bad and the really, really bad about Dr. Hynek, wherever that may lead. In Dr. Sword's blog posts, he states pretty strongly that Hynek's timidity was a monumental liability both to him personally and to the field of UFOlogy in general. It's impossible to dismiss the point, and I will have to explore that side of Hynek fully if I am to live up to my wife's expectations and to that infernal book. "Victories in (his) quest were small and of course insufficient." "(Hynek) also didn't really write much of significance at all." "Hynek was an idealist hiding in a mouse's body, too scared of the bosses for too long, too ignorant and too trusting of what was going on, and subconsciously realizing that he was screwing this mystery up." "(Hynek) actually would show up at their place almost in disguise --- another testament to his timidity." "Allen, no wonder Mac wanted to punch you!" "Ah, Allen. A good man. A good-not-great scientist. A paradoxical timid but avid explorer of the Unknown. We were lucky to have you, 'warts and all'." As much as it pains me to do this, here is the link to Professor Sword's blog, The Big Study. Just promise you'll come back here when you're done, ok?